Nunam Iqua has an excellent Class 4 (on a scale of 1 to 7) wind resource for wind power development with low turbulence and highly directional winds. Wind power appears to be the most viable renewable energy resource for the community to reduce dependence on fossil fuel for energy generation and heat, especially if constructed in a high penetration mode with battery storage. 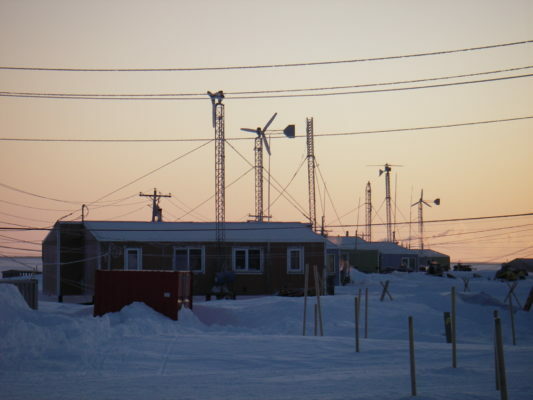 Although a wind test met tower had been located on the north side of the Nunam Iqua, community input for a 2012 report indicated preference for wind turbines west of the airport, near the wastewater lagoon.